Here I will be reviewing the Titleist 913D2 driver, the game-improvement brother in the Titleist 913 line of drivers. At the time of its debut, it was considered Titleist’s most playable and forgiving driver along with the tour-level 913D3. It was also touted to have additional distance over the older 910D2. In what ways does the 913D2 shine? What are its weaknesses? How well does it do in terms of distance and forgiveness? Read on to find out what you need to know about the driver to make an informed purchase. The 913D2 has generally been received very well both by customers and professional reviewers. It has a 4.5/5 aggregate rating on Global Golf (click here to read the customer reviews), various 4-5 star ratings on Amazon and very positive verdicts on other authority golf sites. The 913D2 has been praised for its excellent distance off sweet-spot strikes, impressive mis-hit forgiveness both in terms of distance and direction, decent workability, sweet look and shape, and solid feel. In terms of potential negatives, some have remarked that the distance results aren’t quite as good as with their previous driver. Also, the look and muted impact feel doesn’t appear to be everyone’s cup of tea. The 913D2 driver features a 460cc full pear-shaped titanium head (discussed further in another section below). It has a high-speed forged insert in the clubface which delivers more ball speed (and hence distance) over a larger area of the face. The center of gravity (CG) has been lowered to a more “optimal” position, and a rear “SureFit Tour” weight has been added to both reduce spin and optimize the launch angle for more distance. The 913D2 also has an adjustable hosel with “SureFit Tour hosel technology“, and it allows the golfer to dial in their launch flight. You can adjust the loft and lie to one of four positions each (4 x 4 = 16 total configurations). The adjustments can be made in increments of 0.75° over a range of 2.25°. Compared with its brother, the 913D3, the 913D2 has a slightly larger head (460cc as opposed to 445cc) and delivers slightly more spin and forgiveness on off-center hits. The 913D2 driver is available in 5 standard lofts, one standard lie and one standard length. Distance: The great thing about the 913D2 is the fact that, beyond choosing the standard loft, you can adjust the loft and lie using the SureFit Tour hosel until you’re satisfied with your ball flight. Be aware that this will change the angle of the face slightly and introduce draw/fade biases, so you should adjust your alignment accordingly. Once your trajectory and spin is optimized, you should start to see fantastic distance results. Mis-hits retain a very respectable amount of ball speed, more so than the previous 910D2 driver. Whether or not you will realize any distance gains over your previous driver is impossible to say as it depends on your unique situation, but chances are that you won’t be disappointed. Forgiveness: The forgiveness of the Titleist 913 line of drivers remains among the best in the market. As mentioned above, forgiveness has been improved since the 910D2 — the face insert results in ball speed increases of about 2 mph near the toe (which translates to 4-6 more yards) and around 1% near the heel. Dispersion is minimal, and you should expect slight to moderate mis-hits to not deviate much from the intended target line. Note that the face angle adjustments can help suppress slices or hooks to an extent. Playability: The location of the center of gravity (and consequently the low spin attribute of the driver) results in mid-trajectory piercing shots that don’t balloon and perform well in the wind. Typical ball flight is fairly straight with perhaps a slight draw bias, but it can vary of course depending on the individual and intended shot. 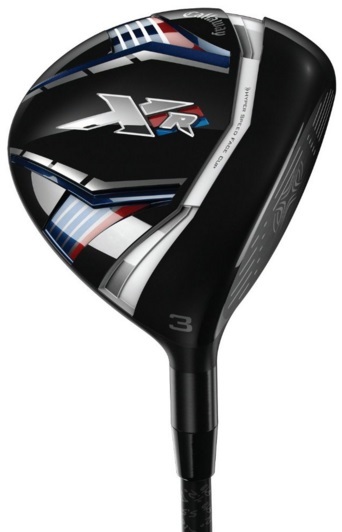 Overall, the 913D2 is impressively workable for a game-improvement driver. Thanks, in part, to the extensive adjustability, it can accommodate a wide range of swing speeds. Look: The 460cc pear-shaped titanium head of the 913D2 has a rich black finish along with some white and red accents. The sole has a classic and sharp design that’s not too busy — a Titleist logo surrounded by the driver model and standard loft, and the crown has an effective and nondistracting aid to help with alignment. I think it’s definitely a confidence-inspiring look that many people will love. For a higher-resolution look at the 913D2, click on the composite image at the top of the page. Sound and Feel: The 913D2 feels stable and balanced through the swing, even with a lighter shaft. The sound and feel at impact is a little less muted – a little crisper and louder — than the 910D2, but otherwise they’re quite similar. It’s still by and large the classic Titleist sound/feel combo that people have come to know and love from the company. Mis-hits feel quite solid and produce minimal vibrations. Note that the rear pentagon-shaped weight can be removed and replaced to change the weight of the clubhead, and you can do so (purchased separately) if you don’t like the feel of the current weight. As the 913 series isn’t the most recent in Titleist’s line of drivers, new 913D2 drivers are a bit difficult to find. Your best bet would probably be to look through this eBay page for the configuration you’d be most interested in. What about a used one? If you’d rather save some money and get a used 913D2 driver, you should check out this Global Golf page — some in excellent and very good condition are in stock at the time of writing. You can also find used 913D2 drivers at awesome prices on eBay, as always (click here for that). As with their other clubs, Titleist recommends a thorough fitting in order to unlock the full potential of the Titleist 913D2 driver. Even without a fitting, though, you can still have great success, especially if you properly take advantage of the built-in adjustability. Whether you’re a low, mid or high handicap, the 913D2 is a great all-around performer that you should consider throwing in your bag. Think the 913D2 driver might be an option for you? Please support Golfstead by clicking this link! If you have any thoughts or opinions about the Titleist 913D2 driver, be sure to leave a comment below! Thanks for posting. I find it absolutely amazing how fast and often clubs evolve and change. It seems like there is so much to chose from I go into “analysis paralysis”. I just bought a Taylor Made last spring, and I like it just fine but it doesn’t have all the adjustments the Titleist has. I wonder how difficult is to make those adjustments and how much difference they make in the ball trajectory. It sounds like it may more forgiving then mine which for my swing inconsistencies might be a big help in the long run. 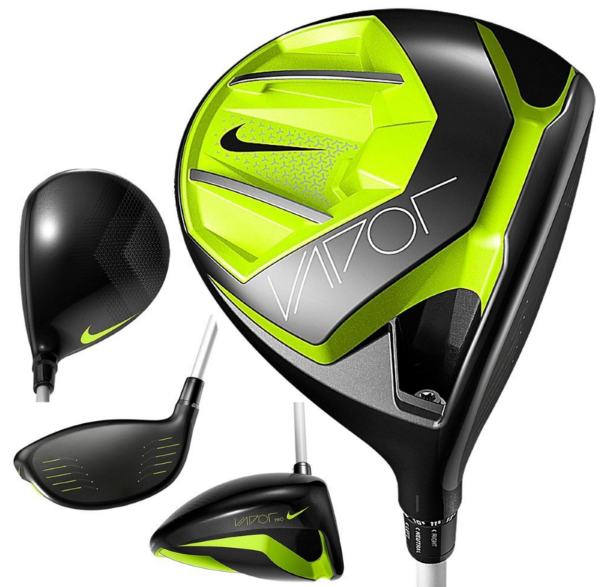 Maybe I can find one at my local golf store where I can actually hit it before I buy it. The amount of different choices out there can seem overwhelming, but once you take into account your budget, your preferences and your needs, it narrows things down hugely. I’m assuming you’re an amateur, in which case a 913D2 would be a very viable option. Loft and lie adjustments do indeed make a different in ball flight — they raise and lower the trajectory as well as change the natural shape of the shot (draw or fade). With Titleist clubs, I would recommend working through the Titleist Performance Guide (can be found online, but is also included with new 913 drivers) to find the loft and lie settings that work best for you. Adjusting the hosel is a matter of loosening the retaining screw near where the head and shaft join, twisting to the desired setting and re-tightening. As for trying before you buy, that would be a great idea, although the 913D2 may be a bit difficult to find locally since it’s an older model. Make sure you compare the online and offline prices — you can likely get a better deal on sites like eBay (link in the review). Let me know if you have any questions. Good luck. Great review and page layout. Crazy how quickly clubs switch to the next gen and come out with state of the art technology. Personally I prefer TaylorMade but wouldn’t mind trying this club. I never really noticed much difference in the trajectory when making the club adjustments. As far as beginner golfers are concerned would you recommend forking out money for an expensive driver or using a used driver first? And where can one find a used club retailer online? Changing the settings on the adjustable hosel should make a difference, but this can depend on your swing. To answer your question, I wouldn’t necessarily recommend that beginners start off with a used driver, but that doesn’t mean that a beginner needs to use a super high-end model either. 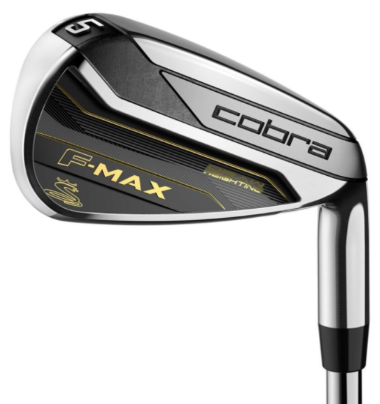 For a typical beginner, investing in a new game-improvement driver that’s a few cycles old (and hence has undergone a significant price drop) should be more than fine. In your case, the TaylorMade Aeroburner or JetSpeed drivers are very viable options to consider. A few of the best online locations for used clubs that immediately come to mind (and that I mention regularly in my posts) are eBay, 3balls and Global Golf. Hope this helps!